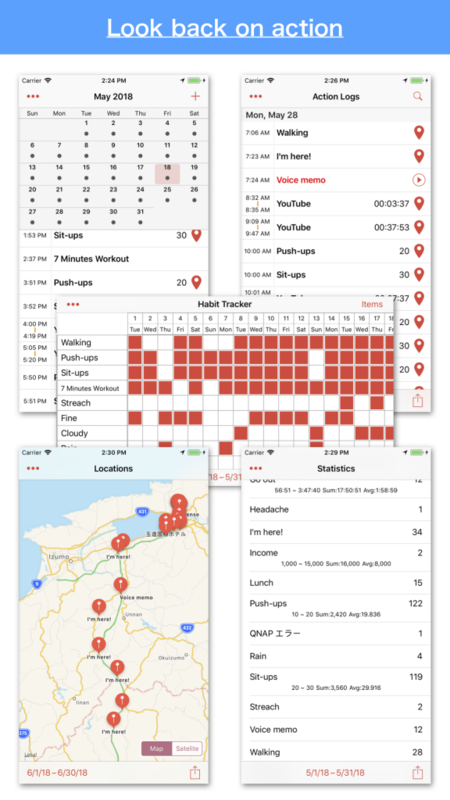 We released an application “Action Logger” to make more use of AppleWatch. 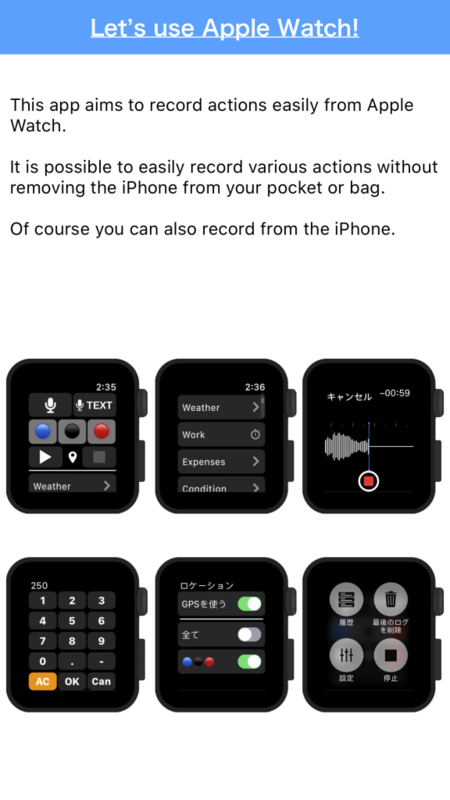 Just tap AppleWatch to record various actions. 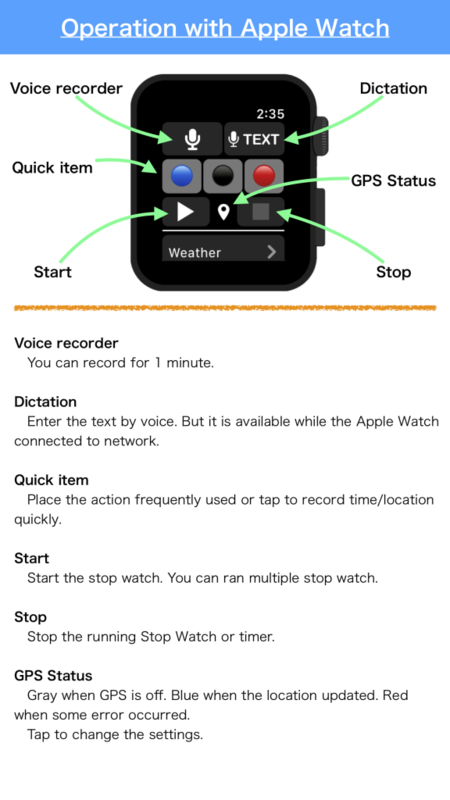 It is also possible to record ideas as voice and measure time(Timer/StopWatch). You can see Statistic, Habit tracker. Free for trial. Please try if you have AppleWatch. This entry was posted in Announce, Apple Watch, AppleWatch, iOS Apps, NEWS and tagged Apple Watch, iOS. Bookmark the permalink.